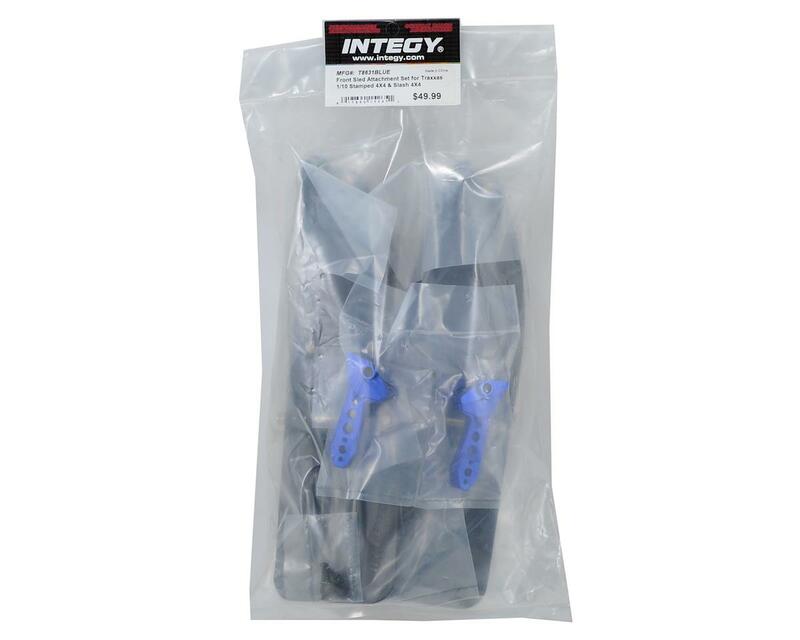 This is an optional Team Integy Traxxas Front Sled Ski Conversion Set. If you drive your Traxxas Stampede 4X4 or Slash 4X4 in the sand or snow, you owe it to yourself to bolt on this Front Sled Conversion. 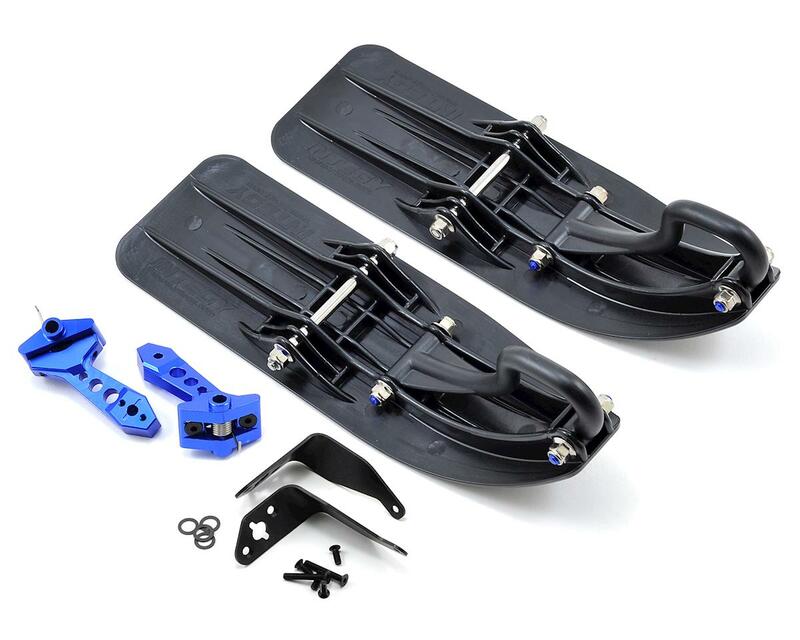 The sleds feature spring-loaded, anodized legs and simply bolt onto your front axles. Combine these with the Integy Snowmobile & Sandmobile Conversion Kit (INTT8633) for the ultimate sand and snow rig. NOTE: This will convert the truck to Rear Wheel Drive only.